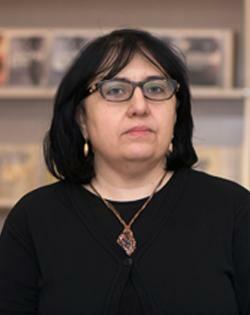 From 2010 till today is acting as researcher of Arts Research Institute at Ilia State University, associated Professor. Heading the Cinema Critics’ Programme, I am teaching The World Cinema and Georgian Cinema History, Cinema Theory and Applied Cinema at Bachelor and Master Levels. I am tutoring and supervising 4 Ph.D. Candidates. 2006-2007 Georgian Film Directors _ Volume I, Part II, Tbilisi, ShotaRustaveli State Theater and Cinema University Press, Tbilisi.